A banged up Beaver Valley Nitehawks team went into Castlegar and took two points from the Rebels in a 5-2 victory on Tuesday, in their fourth game in five days. .
After losing two of three games on the weekend, B.V. had a strong bounce-back effort, beating the Rebels and eliminating them from playoff contention in the process. Despite missing top forwards Paul Leroux, Angus Amadio, and Luke Recchi up front, and veteran d-man Jake Yuris and Jesse Ihas on the back end, the Hawks iced three affiliate players and played solid two-way hockey on the way to their 23rd win of the season. Campbell River product Nolan Corrado netted the game winner, scoring a goal and two assists, in the 5-2 victory. Corrado’s goal on a setup from Jared Stocks and Kyle Guenter with 7:35 to play in the second period gave the Hawks a 3-1 lead. The six-foot-three, 17-year-old rookie has five points in his last three matches. “We expected that there was going to be a time when he (Corrado) explodes and gets on the score sheet, and in the last month his play has really improved and picked up, and he’s just starting to get rewarded for his hard work,” said Jones. 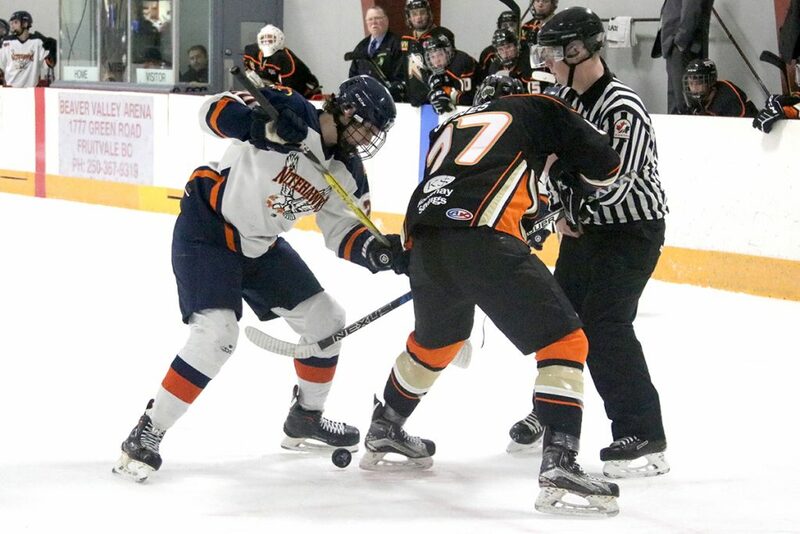 The Nitehawks locked up second place in the Neil Murdoch Division standings and effectively put an end to the Rebels hopes for a playoff berth. Castlegar (13-28-1-4) is six points back of the fourth-place Grand Forks Border Bruins (17-25-1-2), with three games left. But even if the Rebels were to win out and Grand Forks lose its remaining four games, the Bruins will have more wins, 17, than the Rebels, 16, and earn the berth, regardless. In Tuesday’s match, the Rebels jumped out to an early lead with Colby Winia beating Decottignies just over four minutes into the opening frame. 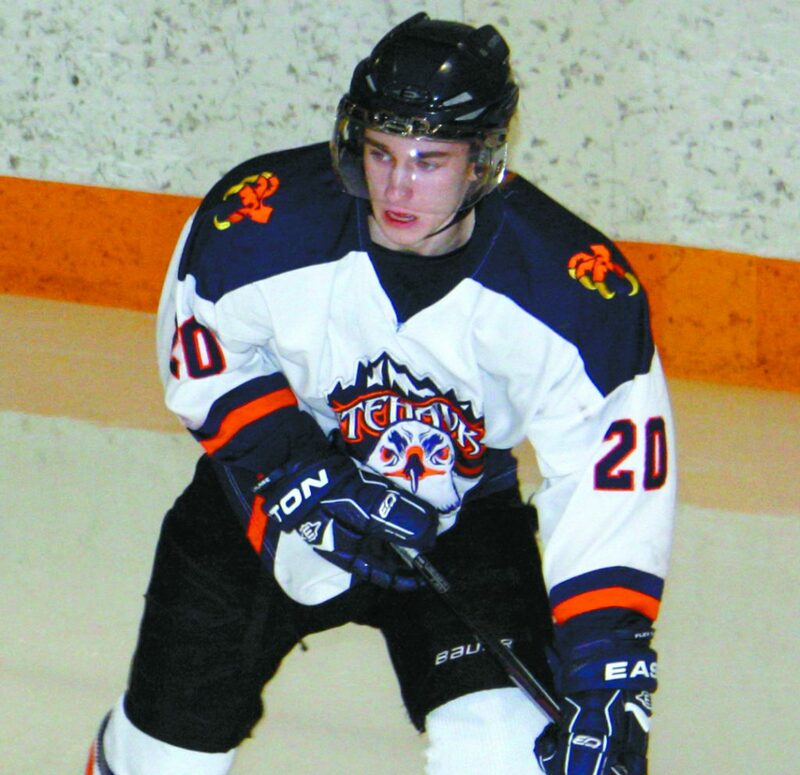 However, Nitehawks power-forward Bradley Ross tied the game converting a pass from Corrado just 63 seconds later. Michael Hagen put B.V. up for good, scoring his 12th goal and 49th point of the season on an unassisted marker with 7:58 to play in the first. Corrado made it 3-1 in the second, and Hawks goalie Decottignies was stellar in net as the Braves outshot the Hawks 17-10 in the period. Winia notched his 17th of the campaign, scoring at 13:54 to draw the Rebels to within one, but an insurance marker by Sherwood Park native Kevin Duguid with 2:17 remaining put the Hawks up 4-2. Ross rounded out the scoring, sending a shot into the empty net with 1:36 on the clock for the 5-2 final. The Rebels outshot B.V. 37-30 and went 0-for-5 on the power play, while the Hawks were 0-for-3. B.V. will face either the Spokane Braves or the Grand Forks Border Bruins in the first round of playoffs. With three games remaining, the Braves lead the Bruins by five points and can clinch the third seed with a win and a Bruins loss. 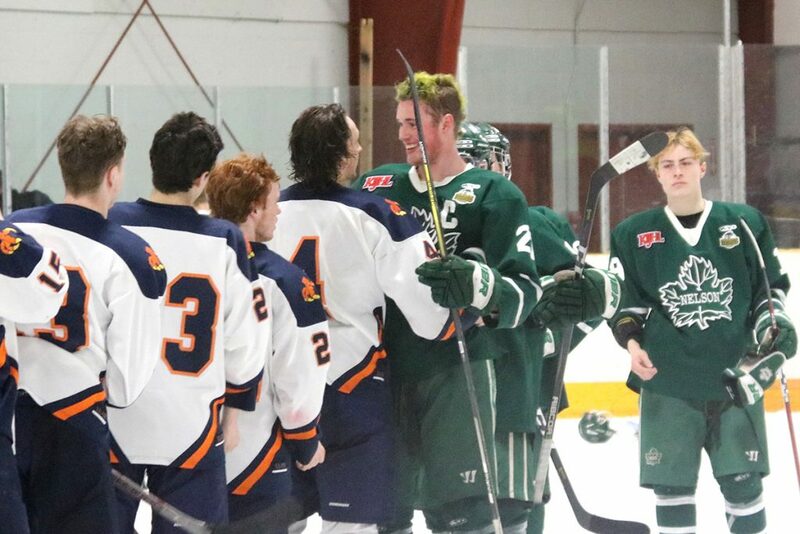 The fourth-seed will face first-place Nelson Leafs (32-10-2-1) in the first round. With second-place assured, the 23-17-3-2 Nitehawks hope to avoid more injury, and have the team back to full health come playoff time. Beaver Valley rostered three affiliate players from the BCMML Kootenay Ice for the match including Jaxson Waterstreet, Dayton Nelson, and Jarred Macasso. Beaver Valley has four games remaining in the regular season, with their final home-game on Saturday at the Hawks Nest against the Columbia Valley Rockies at 7:30 p.m. 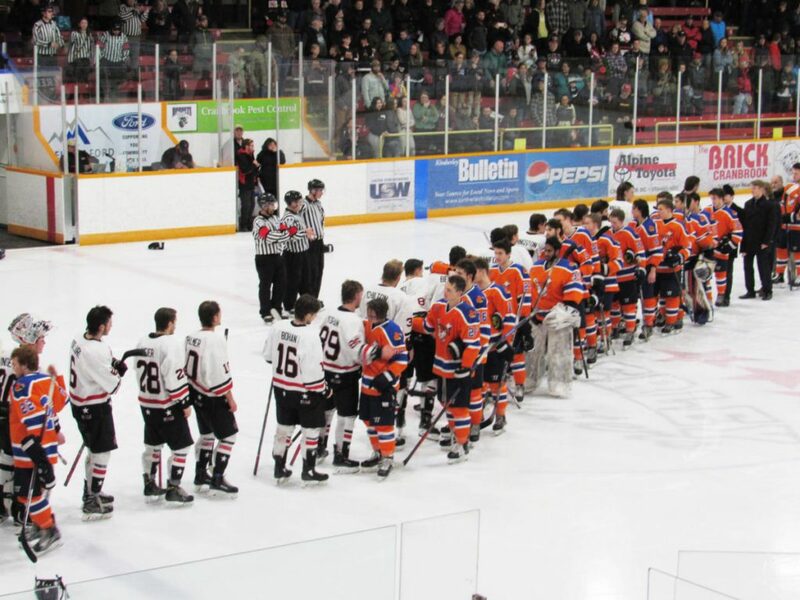 The Hawks finish their season on the road with games in Castlegar Feb. 22, Creston on the 23rd, and Spokane on Feb. 24. 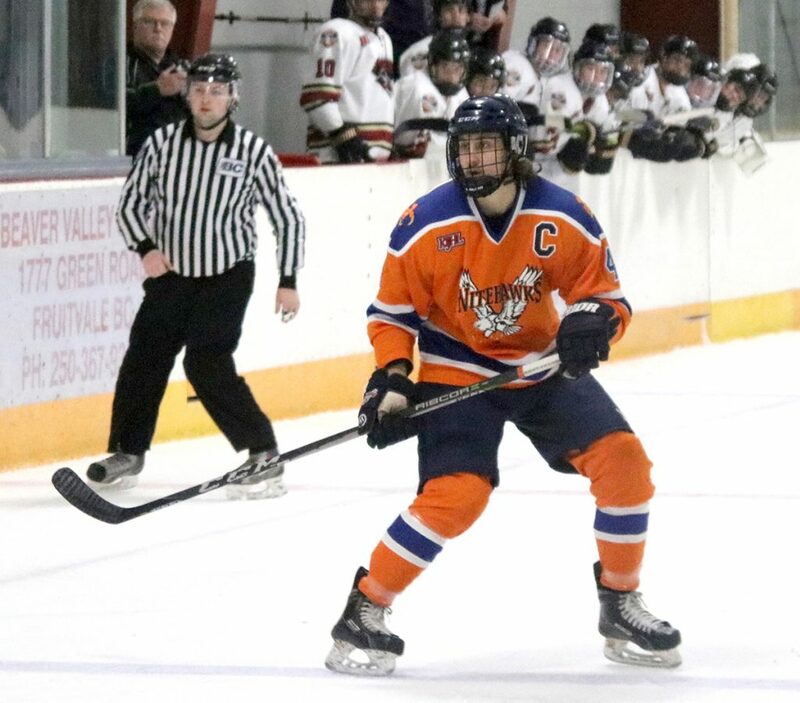 Nitehawks Notes: Beaver Valley’s special teams have not been their strong point this season. Overall they rank 12th in the league in power-play success, scoring on 33 of 211 opportunities or 15.64 per cent, compared to the league-leading Chiefs at 27 per cent. On the penalty kill, the Hawks rank 17th out of 20 teams, killing off 152 of 191 penalties for a 79.58 per cent success rate. Still, the Hawks hold down sixth place overall in points and goals for, and if they can get the goaltending Decottignies displayed on Tuesday night, B.V. has the potential to enjoy a prolonged playoff run.